Programming will never be the same (the Scobleizer). 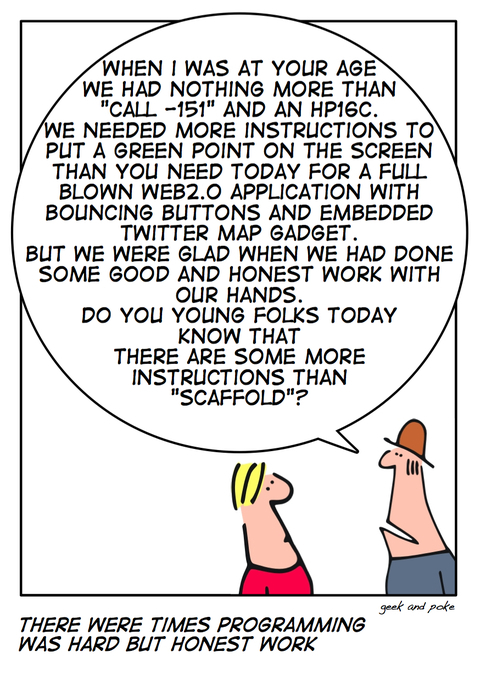 For those of you geeky scaffold folks here are links about call -151 and HP 16C. Btw. : Part 1 of Lazy Youth is here and part 2 is here.